A new year is probably the ultimate holiday gift, don’t you think? Receiving the chance to try again to get things right, to attempt something new, to do something better, is a luxury not everyone gets and while I’m not a devotee of the typical new year’s resolution, I do get a little jazzed by a clean slate on which to write a fresh chapter. I’ve decided that my task for 2019 is to work on accepting what others give me with grace. Whether it’s a physical gift, a kind word, or an opportunity to experience something, I want to be able to receive and accept it with openness. That may sound simple to you, but it isn’t always easy for a person who is accustomed to meeting their own needs and prides themself on being fiercely independent. 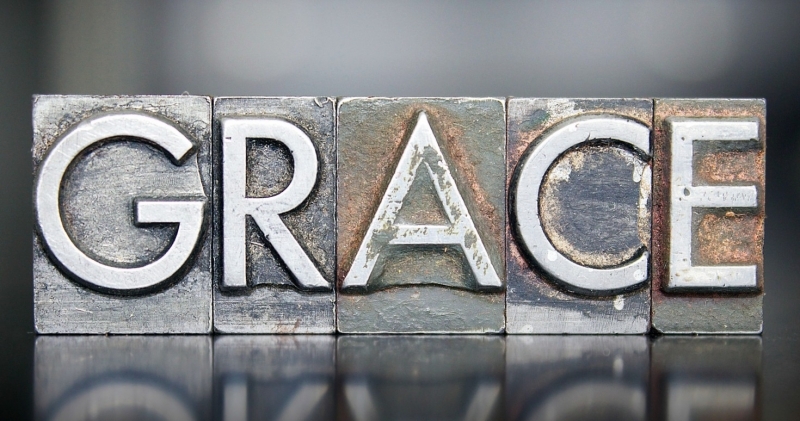 This grace to which I aspire is something I probably should have begun working on long ago – like that time a friend’s family took me to Florida with them for vacation and I attempted to pay for my meal* at a rest area on the Jersey Turnpike. My friend’s father spoke to me quietly, with kindness in his voice, and told me they had invited me with the expectation that they would be paying my way, unheard of (and unimaginable) in my world. Just like seeing Florida for the first time, his generosity will be something I’ll never forget. On New Year’s Eve I had my first chance to start practicing being graceful. I was presented with a thoughtful and unexpected gift, a gift that I might have been inclined to resist because it was generous and felt like too much after having been hosted as a houseguest for nearly a week. Instead of immediately declining though, I paused, took a breath and accepted my present with a sincere thank you. I love the gift and will use it frequently and I know that my thoughtful and dear friend was happy giving it to me. How about you? Is there something you’re hoping to find or create in your own life this year? *I had $50, given to me by my brother, for a 10 day vacation. I was poor – and clueless.